Patients who need bloods and other testing done can enjoy the convenience of The Hills Medical’s on-site Melbourne Pathology clinic. A range of pathology collection services is provided and no appointment is necessary. Patients just need to bring their doctor’s referral and Medicare card, and upon arrival at The Hills Medical reception desk, simply take a number from the countertop and wait to be called. 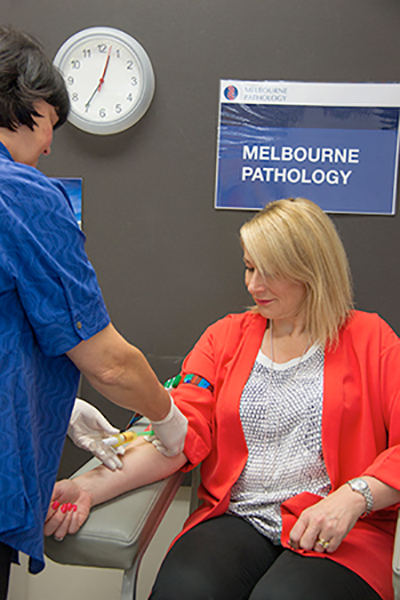 Phlebotomist on duty and Melbourne Pathology services are available Monday to Friday from 8:00am—1:00pm.